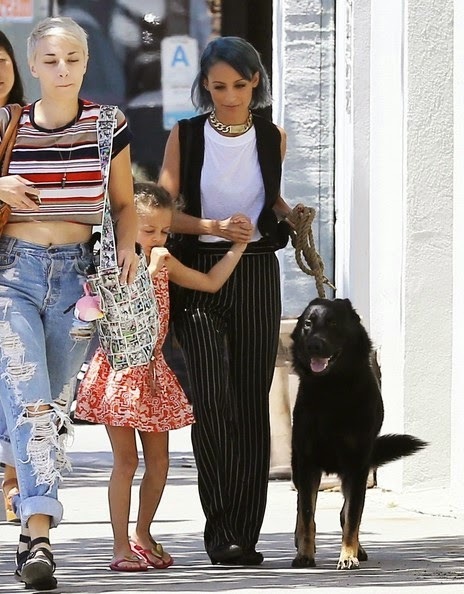 Nicole Richie was pictured (13th August) out in West Hollywood with daughter Harlow and dog Iro. Nicole Richie wore pinstripe trousers with a white tee and black waist jacket. She completed the look with her much loved House Of Harlow 1960 ID chain. Click Here to shop Nicole Richie's gold plated ID Chain.